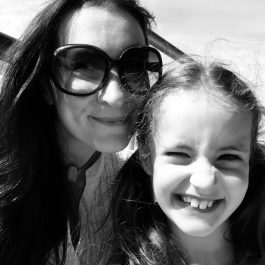 I love a crumble! It’s such an easy pudding to whip up, and requires no particular forward planning. 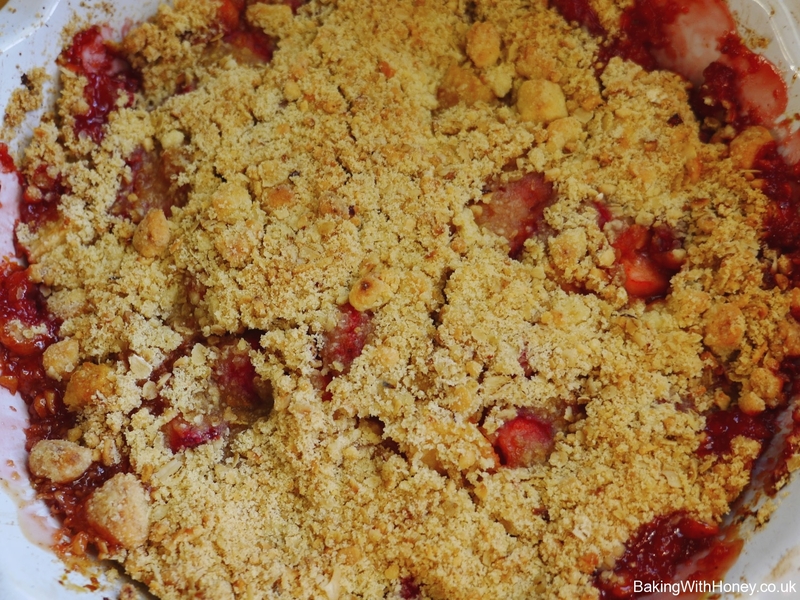 The fruit fillings vary depending on what’s left in the fridge, but I rarely stray far from my regular crumble topping, full of oats and seeds. 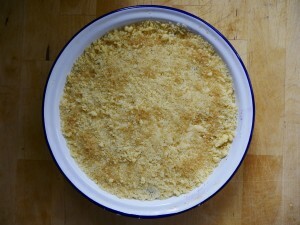 (Check out my crumble blueprint here). 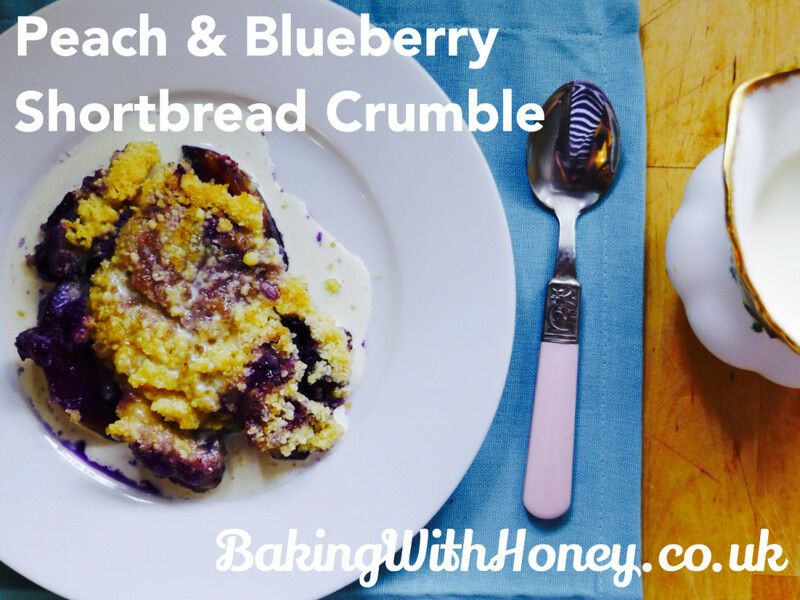 This Peach & Blueberry Crumble is slightly different as I wanted to try making a topping based on the classic 1:2:3 shortbread formula (one part sugar, two parts butter, three parts flour). I thought a buttery-sweet, melt-in-the-mouth topping would be really interesting – plain and simple in the best possible way! It goes lovely with this peach and blueberry filling, and I reckon peach and raspberry would be fantastic too. Serve cold or warm (definitely not hot!) with cream, custard or ice-cream. Preheat the oven to 180c/350f/gas mark 4. 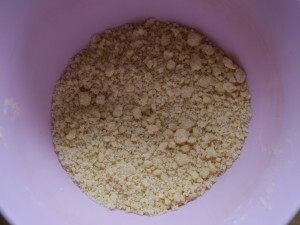 In a mixing bowl, rub the butter into the flour until you’ve got a coarse, sandy mixture. 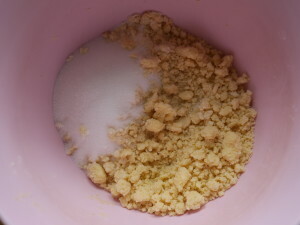 Add the sugar and stir it all together until thoroughly combined. (You can make it in a mixer if your prefer – cream together the butter and sugar first – with a little vanilla extract if you like – then add the flour and stop mixing while it is still sandy in texture, before it begins to bind). 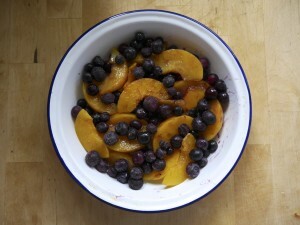 Place the drained peaches and blueberries into the tin. Squeeze a little golden syrup over the fruit (or a couple of tablespoons of caster sugar) and sprinkle the crumble topping evenly all over. Pat it down until it’s quite flat. 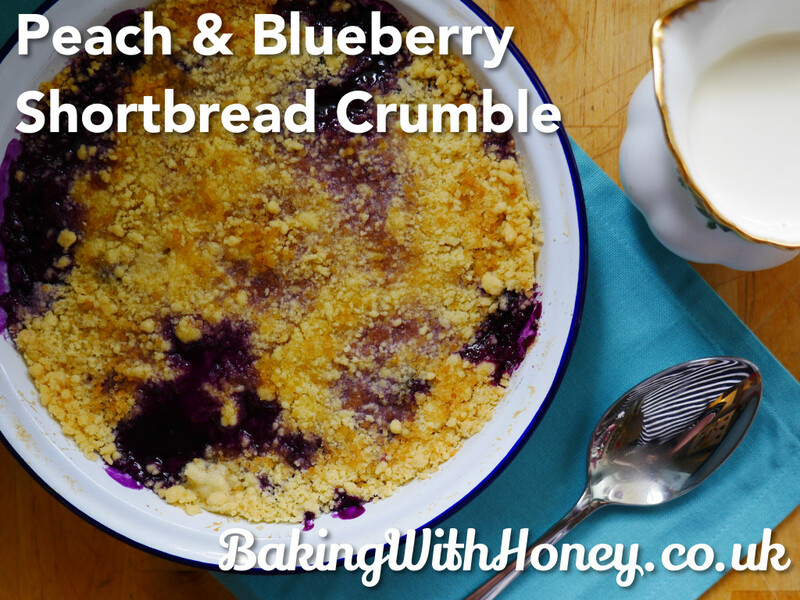 Normally I would leave a crumble topping very rough, but here you’re looking to get something reminiscent of a shortbread-like finish, so pat it down! 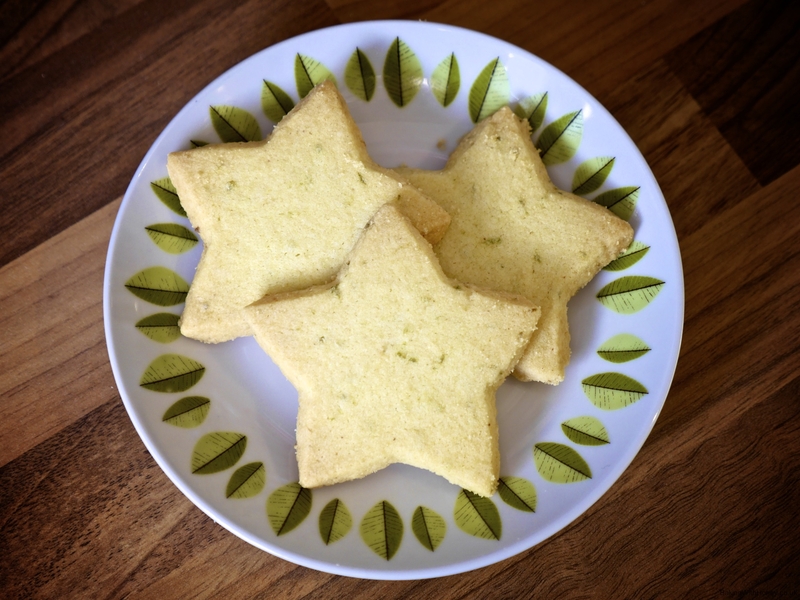 Sprinkle a couple of tablespoons of demerara sugar over the top, then place in the centre of a preheated oven. Bake for around 25-30 minutes. 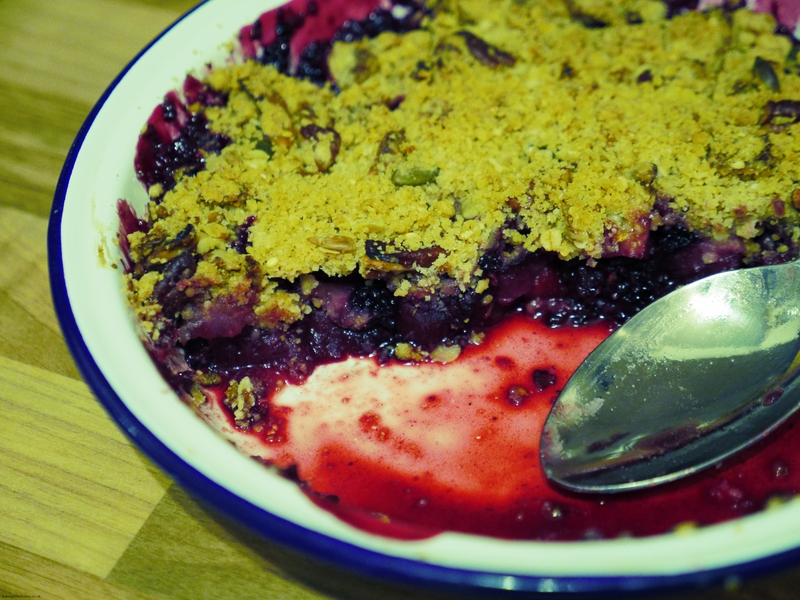 The blueberries will probably burst through the crumble topping – don’t worry about it (I think it looks quite pretty!). Leave to stand for at least half an hour before serving, to allow the topping to firm up a bit. Once cool, it will keep in the fridge for a few days, but the topping is likely to go a bit soft.